1 HOLY GREAT MOTHER OF ALL THAT IS HOLY! !.....that stuff works extremely well and will be in my tool box from now on. I've never had a traveler car - even with NEW bearings - work that well. 2 Yeah, I was amazed at how incredibly well this stuff works. After applying to the self-tacking jib car, while in the parking lot, I sheeted the jib sheet really hard, I mean HARD. The car moved back and forth with the tap of your finger like Tad said, like it was mag-levitating. You could actually feel where the radius to the track was different than the sail. Amazing stuff. 3 I think this product is a real hit. I know it made a night-and-day difference in my traveller, and catsailors the world over need to know all about how great this product is. 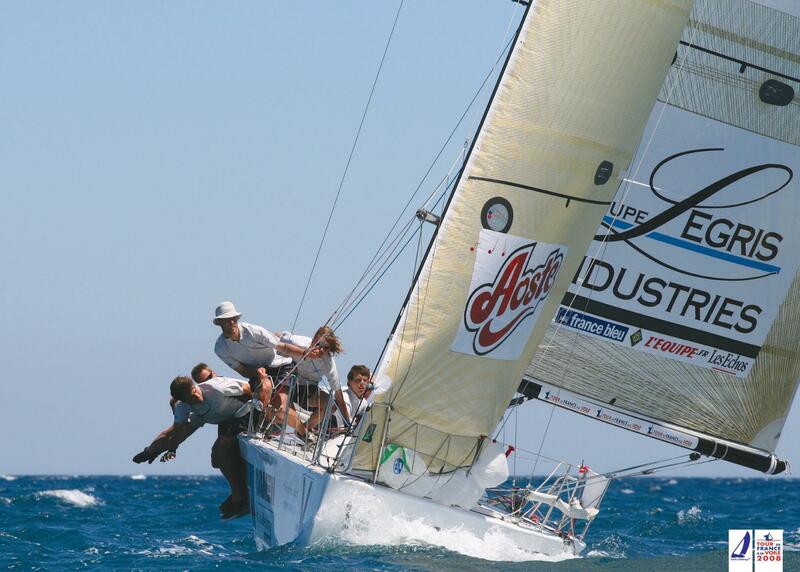 4 It is by-and-large, probably the best product to hit the sailing world that actually exceeds any expectation you have of it. One drop on either side of the track, run the car back and forth rapidly over that area, and just feel your traveller glide like it was a maglev train over the track... its honestly amazing. 5 You know that noise the traveler cars make when they slide..? that 'scrrrrrr' noise? Both my main and jib traveler are dead silent now when they slide. 6 I just returned from British Virgin Islands Regatta, where I sailed a 9 year old Beneteau 463 Charter boat to second place (again) in charter fleet in the Spring Regatta. It was a mid boom Lewmar Ocean size 2, which hardly moved when I took over the boat. I ran Joy detergent through the balls, and wiped the entire track with straight Joy. Then flushed it all out with fresh water, let it dry & wiped a small amount of OneDrop to the track â€“ it then worked as smooth as new. Now, 4 races later, with quite a bit of rain & also salt spray and winds mostly around 20 knots and it is a marked improvement. Thank you guys for making my mainsheet trimmerâ€™s life a little easier. 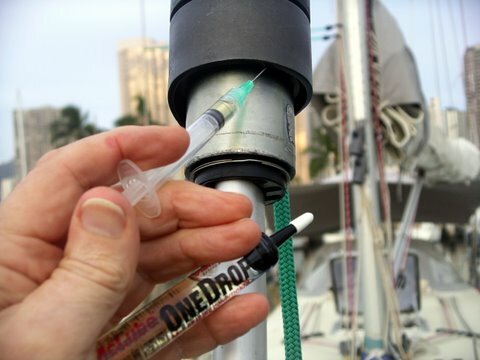 7 After cleaning the 17 year old Hood furling gear with alcohol, I applied some drops of the stuff [OneDrop]. In order to get it into the bottom bearings, I used a syringe with a fine needle, as you can see in the picture. It immediately started to spin like it was new. I then applied quite a bit of strain on it with a halyard, and though it had been seizing up previously, it was now turning fine. It has now been up for several weeks, in some pretty big rainstorms here in Hawaii too, and it still seems to run great. 8 The new OneDrop Ball Bearing Conditioner really works great on all travelers and battcar systems. We've ested it thoroughly, and upon application you can immediately hear and feel a big difference. Great stuff! 9 [T]he One Drop Ball Bearing conditioner kept our traveler cars and rudder bearings free and easy all week making operation a breeze! 10 At Team Delft Challenge we use McLube OneDrop on all ball-bearing parts of our Farr30, and we're very impressed by the results. Because of the abuse and lack of fresh-water hosedowns we can give them during the Tour de France a la Voile, our blocks and rails start sounding rough very quickly.